Elizabeth Beauchamp Landman, age 92, of Heathsville, passed away on Thursday, August 2, 2018. She was born in Philadelphia, Pennsylvania on June 27, 1926 to W. Jennings Beauchamp and Elsie M. Vieth. Elizabeth was a self-employed Caregiver and the widow of Talmage H. Landman. She had a great love for nature, bird watching (especially hummingbirds), and gardening. She also had a love for children and served as a nursery caregiver for more than 50 years at Smithland Baptist Church. She is survived by a daughter, Virginia Landman Whitlow of Colonial Heights; grandson, Gerald “Tony” Whitlow of Colonial Heights; granddaughter, Andrea Whitlow Cox (Billy) of DeWitt; great-granddaughter, Melody Cox of DeWitt; brothers, Franklin Beauchamp (Margaret) of Callao, and Howard Beauchamp (Carolyn) of Nomini Grove; sister, Corinne Beauchamp of Callao; and numerous nieces and nephews. She was preceded in death by brothers, James (Regina) Beauchamp and William (Mary) Beauchamp of Baltimore, Maryland; sister, Katherine Ashburn (Melvin) of Callao; and son-in-law, John M. Whitlow of Colonial Heights. The family would like to thank Elizabeth’s loving and compassionate caregivers who were a true blessing to all. The family will receive friends one hour prior to the service at Welch Funeral Home, Marks Chapel. 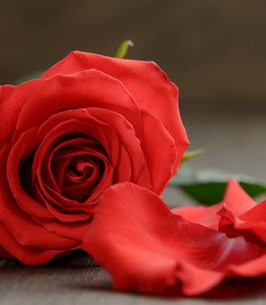 In lieu of flowers, memorial contributions may be made to St. Jude’s Hospital, 262 Danny Thomas Place, Memphis, TN 38105 or the Mid-County Volunteer Rescue Squad, 7990 Northumberland Highway, Heathsville, VA 22473. To send flowers to the family of Elizabeth Landman (Beauchamp), please visit our Heartfelt Sympathies Store.